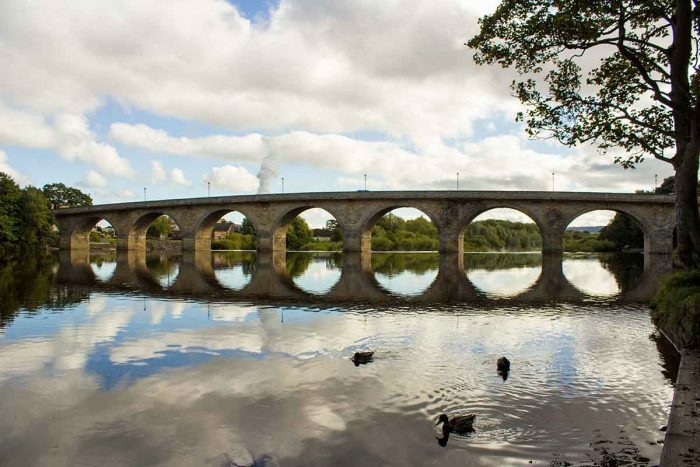 There is a huge amount to do within a short drive of Langley, and many fantastic places to explore. Here are a few of our favourite things. This is a free (except car parking) National Trust attraction within 2 miles of our glamping site. It is possible to walk to Allenbanks (maps are provided on site), or it’s a 5min drive. Allenbanks offers great walks down the Allen valley, there is also places for picnics and areas where you can easily swim in the river if the weather is accommodating. The National Trust often run special events for children here during the school holidays (e.g den building, mini bug hunts etc) – it’s worth checking out their website for times and dates. This historical site is about 25 mins drive away. You can easily spend several days or more exploring all that the Wall has to offer. A few highlights are Housesteads Fort, Vindolanda, Roman Army Museum, Chesters Fort, Walltown Crags, Steel Rigg and ‘Robin Hood’s Tree’, and The Sill visitor centre. Most of the sites on Hadrian’s Wall are managed by English Heritage and it is worth exploring their website for any special events that may be going on – especially during school holidays. Visit the English Heritage website. About 8 miles east of Langley. It is a busy market town with all the usual shops and cafes you would expect. 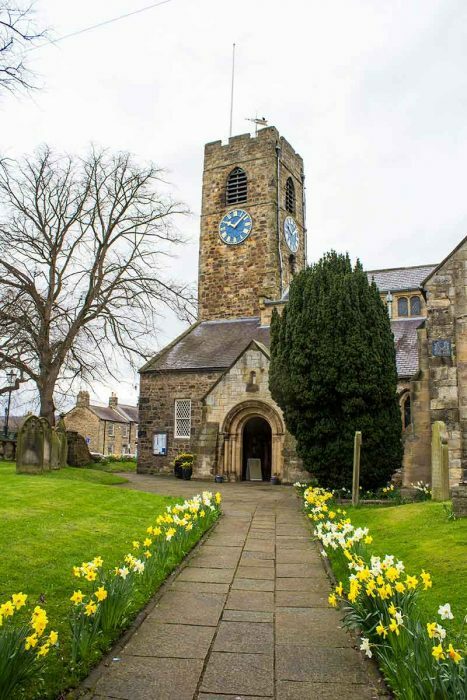 Places worth visiting in Hexham include the Abbey and it’s visitor centre (free and great for kids) and The Old Gaol (also great for kids – they can go down into the dungeons!). There is also the Queen’s Hall theatre and Arts Centre and the Forum cinema (above Weatherspoons in the market square) – the best community run cinema for miles! In the centre of town there is The Sele park – there’s a good skate park and play area here for kids. Down by the river Tyne Green is lovely for an afternoon walk and there is another good play area here, as well as the ‘Fish Pass’, opened in 2017, where at certain times of the year (mainly the autumn) you can see salmon making their way up the river Tyne to breed – this is a spectacular sight if you are here at the right time of year. Wentworth leisure centre has a good pool and ten-pin bowling alley. About 5 miles south. 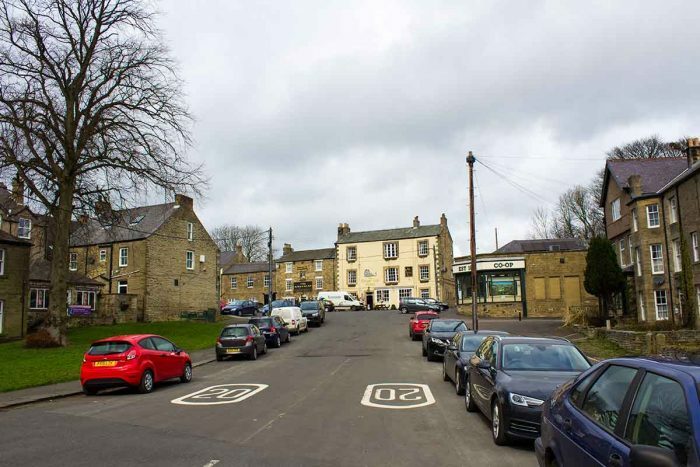 An attractive North Pennine market town. Has a variety of good pubs, the Forge Visitor centre/cafe, The Allendale brewery. Great walking and cycling around the town. 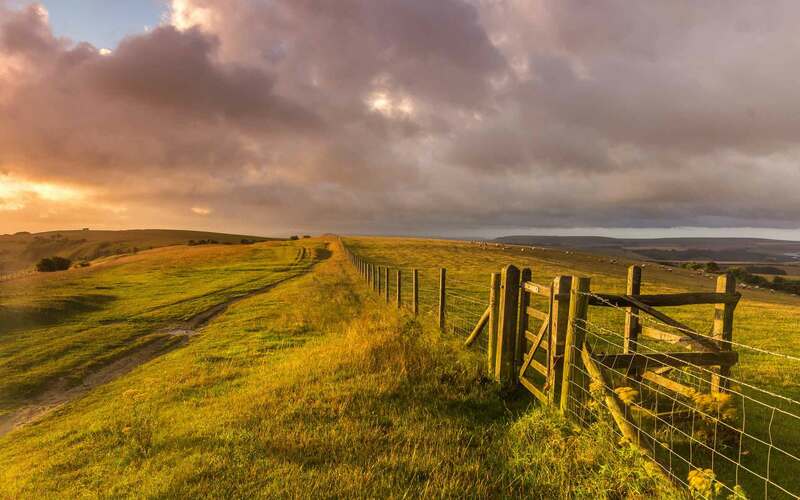 Important events centred around Allendale include ‘The Allendale Challenge’ – a 26 mile walk/fell run across the most incredible landscapes (and peat bogs) that you can imagine. 100’s of intrepid walkers and runners take part in order to raise money for the Mountain Rescue Service – it takes place the second Saturday in April. (Visit sientres website for more info). New Years Eve is also a big day for Allendale, where the locals dress up and carry flaming barrels of tar around the village on their heads before throwing them on a big bonfire in the town square – it really is a sight to be seen to be believed!! 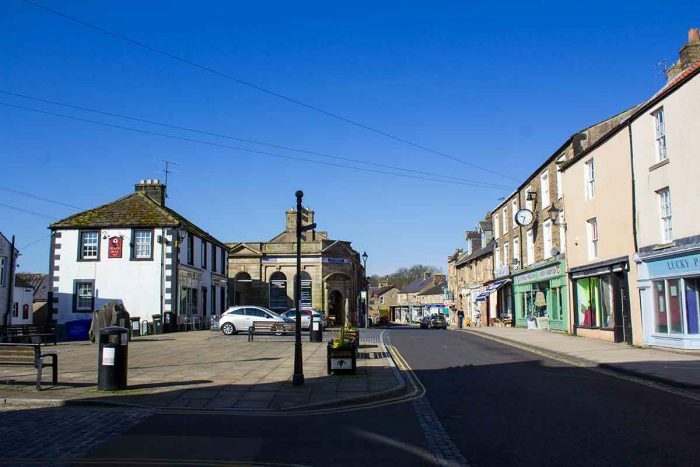 There is also the Allendale folk festival, the Allendale May Fair, the Allendale Agricultural Show and the Flower Show – never a dull moment in Allendale! About 12 miles west on the A69. Apparently the centre of Britain (but there’s some dispute about that from a town somewhere else!? ), the ‘Gateway to Hadrian’s Wall’. If the weather is really bad, and you have bored small children there is a good soft play centre in Haltwhistle called ‘Crackers’. 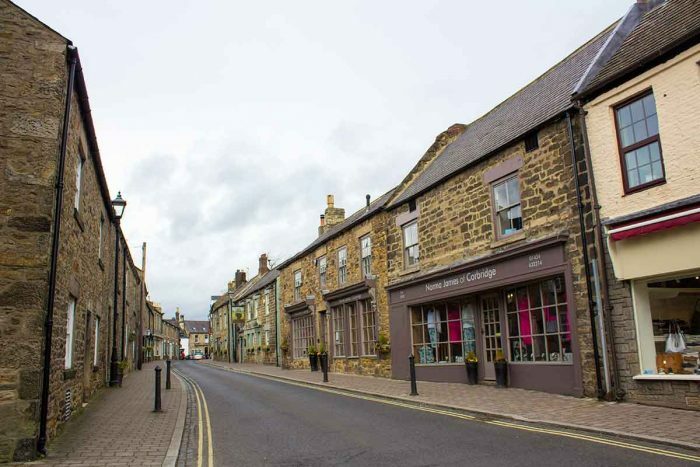 Just east of Hexham – great boutique shopping (Corbridge cookshop is one of our favourites! ), lovely pubs and resturants (can’t go wrong with any in Corbridge really), good walking along the river. Northumberland is famous for its castles, and you don’t have to go far to find some….. Langley (! ), Aydon, Prudhoe, Kielder, Alnwick, Bamburgh, Dunstanburgh….. we could go on. They are all wonderful! Again many are managed by English Heritage. The spectacular Northumberland coast is about an hours drive from Langley, and is well worth the trip if you have never been before. Bamburgh is a wonderful beach and the castle is worth a visit. Tynemouth beach and Priory is also lovely (check out Riley’s Fish Shack on King Edward’s Bay beach). Alnwick Castle (of Harry Potter fame) is also good, as is the Garden at Alnwick. A trip to Lindisfarne or the Farne Islands is also amazing – a must see for birdwatchers. Kielder forest is an hour drive north – another castle to see, good walking and cycling around Kielder water and the forest tracks (it’s 26miles around Kielder Water if you are up for a challenge). Kielder observatory for that dark sky experience. Newcastle is 20 miles east – lots of good museums and art galleries – Great North Museum, The Baltic, The Sage, The Discovery museum, The Biscuit Factory to name a few. The Quayside is beautiful, a trip down the river to Tynemouth is worth it. Carlisle is 30 miles west – Another castle would you believe?!!! Cathedral is worth a look, shopping etc. You can get trains from Haydon Bridge or Hexham to both Carlisle and Newcastle to save driving. here are so many to choose from but we like….. The Cart’s Bog at Langley, The Crown at Catton, All the pubs in Haydon Bridge (The Anchor, The Railway and The General Havelock), The Red Lion in Newbrough, The Rat at Anick, The Twice Brewed at Twiced Brewed!, The Angel at Corbridge, The Lord Crewe Arms in Blanchland, The Barrasford Arms in Barrasford, The Golden Lion in Allendale, The Beaumont Hotel in Hexham, The Battlesteads in Wark, and The Boatside at Warden – All did good food and drink last time we were there!